Our specialist Physiotherapists have extensive knowledge and experience, enabling them to offer you the best evidence-based care. 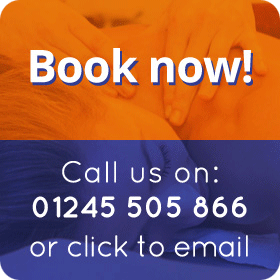 At Stretch we offer a range of massage treatments, including sports massage, holistic massage and pregnancy massage. Acupuncture is one of many skills used within physiotherapy as an integrated approach to the management of pain and inflammation. Pilates is a programme of exercises that targets the postural muscles of the abdomen and spine to improve core strength and posture. Find out a little more about Stretch Physio and what we have to offer. Our knowledgeable and experienced therapists will provide you with specialist care in a friendly and relaxed setting. At Stretch we specialise in the treatment of back pain and provide personalised rehabilitation following back injury, chronic pain and spinal surgery. At Stretch we specialise in the treatment of ante and postnatal problems such as back and pelvic girdle pain. Stretch is registered with all the major private medical insurance companies, so you should be able to use your health insurance to fund your treatment at our clinic. A biomechanical assessment provided by our Physiotherapist, in order to prescribe and commission custom made orthotics. Stretch is based in Writtle, Chelmsford, in a purpose-built relaxing space, within a beautifully converted barn. Our ethos is to help you to feel good and inspire you to stay fit and healthy. Our Physiotherapists provide expert treatment, enabling you to recover from pain, injury, illness and surgery. Our team will also ensure that you maintain the progress you make when you visit our clinic by providing you with advice and home exercises. We aim to help you feel better as soon as possible, so you can return to doing the things you love. Our massage clinic promotes your overall health and wellbeing, helping you to relax and feel amazing. Our sports massage therapist can even help you to achieve a personal best performance. We have a fully equipped Pilates studio. Our Clinical Director was the first fully-qualified Physiotherapist & Pilates Instructor in Chelmsford. We offer expert one to one Pilates sessions by a Musculoskeletal Physiotherapist. We enjoy the benefits of Pilates ourselves and hope to share them with you. Whatever your story, we’d love to hear it. We understand that most of what we need to know about the problems you are experiencing will come from what you tell us. We will then look at what is going on, by conducting a thorough examination. Our assessment process will enable us to identify what the problems are so that we can agree an effective and comprehensive management strategy. We can help you whether you are an elite athlete who needs to get fit for your sport, or if you are having problems with day to day tasks, such as bending forwards or turning in bed. Whatever your lifestyle, career or sporting aspirations, we will create a Physio treatment program that caters for your unique needs. At Stretch, our approach looks to boost your recovery, getting you better as quickly as possible and back to the things that you enjoy. However, we believe that the sign of a truly great Physio is one that can empower you to maintain the progress that you’ve made in clinic, inspiring you stay fit, healthy and injury free over the longer term. We want to see you back on the pitch or running up the stairs past our clinic on your way to your Pilates or yoga class. We believe in the importance of empowering you to manage your problem, we know that when you feel in control, your pain level will reduce and your problems will feel smaller. We will provide you with all the information and advice you need in order to look after yourself. We may use mobilization, manipulation, acupuncture and rehabilitation as part of your treatment. However, before we do anything, we’ll make sure that you understand the nature of your problem, the relevant science and how we’re going to help. Your treatment will be evidence-based and unique to you. We believe that the success of our treatment relies on you understanding exactly what is going on and how, with our help, you can get back to doing all the things you enjoy in life. All our Physiotherapists are highly trained and have experience in the interpretation of scans and other diagnostic tests. We also have good links with Neurosurgeons, Orthopaedic Surgeons, Rheumatologists, Pain Management Specialists and Councilors. So, if we feel that you need more than Physiotherapy treatment, we will let you know and, with your permission, we can liaise with your GP, or arrange a direct Consultant referral. Our therapists are registered with all the leading Health Insurance companies including BUPA, AXA PPP, Aviva, Cigna and Pru Health. Your initial assessment will last up to 45 minutes, during which we will go over the history of your problem and conduct a physical examination, discussing everything with you in full. The initial assessment gives us the opportunity to accurately evaluate your problem and implement an effective management strategy. As well as the assessment and evaluation, your initial appointment will also include some Physiotherapy treatment. Our follow-up Physiotherapy treatments last up to 30 minutes. Our Massage clinics offer you the chance to relax and unwind with some of the best local massage therapists. Our therapists have a range of diverse backgrounds from Sports science to Psychology degrees. All of our therapists are highly trained in several massage styles, enabling us to offer a range of treatments at our massage clinic. What sort of massage treatment is right for me? At Stretch, we offer sports massage, holistic massage, hot and cool stone and pregnancy massage. Sports massage is a firmer deep tissue massage, which may help you to recover from a soft tissue sports injury. Sports massage can help you to manage the demands of your training program and will give you time out to relax and refocus. Your preparation for a competition can be assisted with Sports Massage, as well as aiding recovery and dealing with the pressures of a busy competition schedule. Holistic massage promotes your overall health and well-being, helping you to relax, unwind and release muscle tension. Hot stone massage is also a holistic massage treatment that uses the power of heat, rather than increased pressure to provide you with a deeper, totally relaxing massage experience. Cool stone massage can also be used to sooth a specific area of tenderness, during your massage treatment. Pregnancy massage can help to support you through your pregnancy. Our pregnancy massage therapists have specific training and understand the changes that you’re going through during your pregnancy. Pregnancy massage treatments will be adapted to suit your individual needs. We will take care of you from the moment that you walk through our door, leaving you feeling relaxed and able to enjoy your pregnancy. Our massage therapists are all wonderfully intuitive. Whichever type of massage you choose, they will select the techniques most appropriate for your needs, so that you feel relaxed and revitalized. We offer evening and weekend appointments and we are open on both Saturdays and Sundays, allowing you to book some you time around your busy schedule. With Stretch you can choose to book either a 45-minute or one hour massage therapy appointment. Your appointment will start with a chat about your needs, general health and lifestyle, followed by an assessment of any injuries or problem areas you may have. Once your massage therapist has discussed the type of treatment they recommend, you can simply lie down and relax to enjoy your massage. We will also provide you with after-care advice in order to ensure that you get the most out of your treatment. Our refreshing approach to feeling good! At Stretch we see Pilates as beneficial to your overall well-being, whether it becomes part of your general exercise program, strength conditioning training, pre- and postnatal care, pain relief or relaxation. We value its positive effects in helping to promote improved postural awareness. We find that its benefits are felt well beyond your session in our studio. 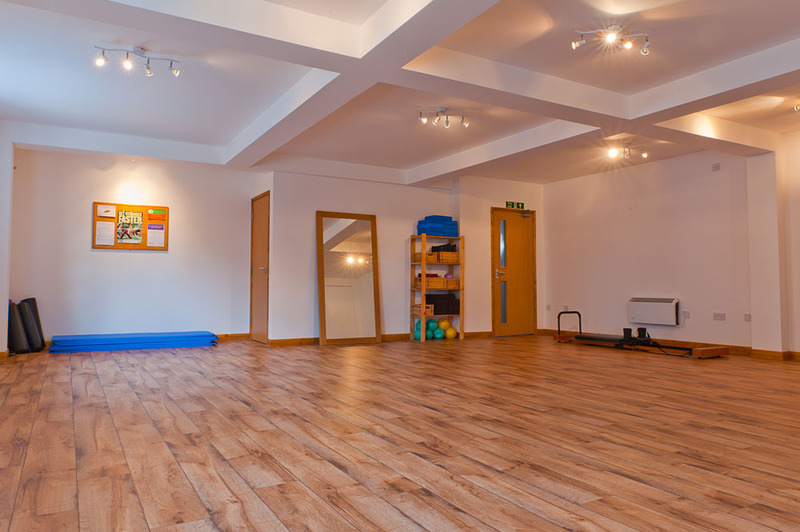 Our Pilates sessions are taught by Physiotherapists and both have Masters degrees in Physiotherapy. Our approach to Pilates personal training sessions has been adapted over the last few years to reflect changes in scientific research, a greater understanding of normal movement and how the body reacts to pain. Our bespoke Pilates sessions help you to improve your day-to-day life by focusing on functional movements and the importance of relaxation. We understand that changes in postural and movement awareness as well as an inability to relax over-active muscles, coupled with an increasing lack of confidence when moving, all contribute to ongoing pain and an inability to move normally. Our sessions, give you what you need to relax and move feely, teaching you to relax over-active muscles, retain those that need a gentle reminder to work and to help you restore normal, healthy movement patterns, improving how you feel every day. Our Pilates sessions include postural assessments and an analysis of how you perform certain functional tasks, using our expert Physio skills. Our analysis of your postural signature and functional movement strategies helps us to determine which Pilates exercises are most useful to you. Following our assessment, we will then teach you these Pilates exercises. Our teaching style is always adapted to suit your particular needs. During your sessions, we may use small Pilates equipment such as mini balls, gym balls or resistance bands to augment the exercises. We may also use our state of the art large equipment, including an Align Pilates Cadillac and Reformer. We love the fact that Pilates exercises can be so diverse and allow for gently graded exercises. Our programs, are tailored to how you feel when you turn up at our studio. We design each session specifically to address any goals that you may have. We will work with you to rectify any movement dysfunctions that need to be addressed in order to relieve pain. We will help you to understand what makes good posture and will help you to optimize yours. We will give you the knowledge, understanding and home practice exercises to ensure that you are able to maintain it effectively during your daily life. Pilates movements are slow and precise. Exercises focus on breathing and body awareness. The exercises are gently and safely progressed for optimal progress. At Stretch, our Physios trained with the Austrailian Institute of Physiotherapy & Pilates (APPI). APPI is a series of modified Pilates exercises that take into account your specific musculoskeletal or issues with your health. APPI Pilates is an ideal approach for those in pain or suffering from health problems. Ellie, our Clinical Director is an extremely experienced teacher and is also developing a keen interest in yoga, bringing her knowledge and experience in this area into her Pilates practice. Our clients feel totally relaxed and confident following one of our Pilates sessions. We believe that, with regular practice, you will achieve a greater balance between body and mind, improved well-being, a sense of achievement and the feeling that you wouldn’t want to miss your regular sessions! For those of you that want to enjoy the benefits of a group Pilates class, we’d like to recommend our sister company Hummingbird Pilates & Yoga. Ellie is a Partner in Hummingbird and alongside Kellie her business partner runs almost 50 Pilates and Yoga classes a week, using the best local teachers.